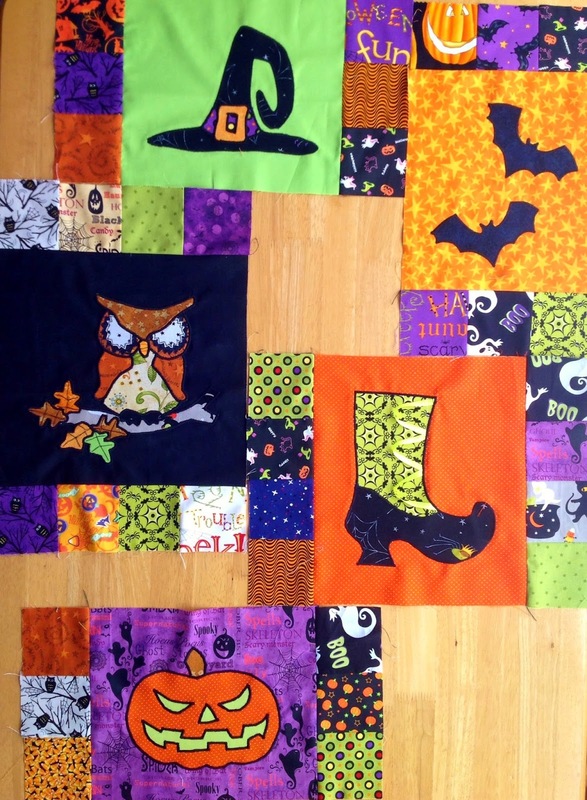 I've been doing a lot of secret sewing this week for swaps I'm in so I can't show those, but I can show you the progress I've made on my Halloween Quilt. I'm not following a pattern. I'm just making it up as I go along. So I have no idea what it will end up looking like or how big it's going to be. So it will be as much of a surprise to me as it is to you. I'm off to my sewing room now for a little more fabric therapy. It's looking absolutely SPOOK-tacular already!! Bonne continuation,les tissus sont sympa! This looks pretty! I'm working on your autumn swap. I picked up another goody this weekend. That looks great Melanie, can't wait to see it all finished.